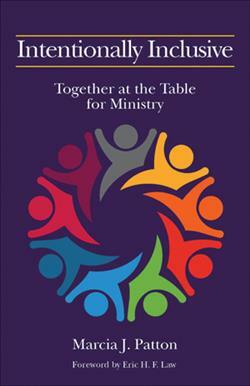 In a society that is increasingly diverse in race and ethnicity, religious background and theological conviction, socioeconomic status and political perspectives, this practical resource explores the broad dimensions of what it means to be a multicultural community of faithand relates the powerful story of how one group chose to pursue intentional inclusion and faithful intercultural ministry through ethnic caucuses and consensus-based decision-making. Grounded in biblical narrative as well as personal experiences, the book offers an authentic and honest look into a real-life experiment in inclusive ministry. Includes questions for personal reflection and ideas for small-group implementation. Marcia J. Patton, PhD, MDiv, MAR, is the first executive minister of the newest American Baptist Churches USA region, the Evergreen Association. Evergreen Association is unique among American Baptists because it is organized around ethnic caucuses and does its work by consensus. Prior to this appointment in 2004, she spent thirteen years as Associate Executive Minister with the American Baptist Churches of Northwest, and served as associate minister for churches in Pennsylvania, Utah, and New Jersey. Dr. Patton serves on the transition team with American Baptist Churches USA, and as a delegate to the National Council of Churches Assembly.